Introducing...The Beneficials! Another Worm Farming Revealed learning product. 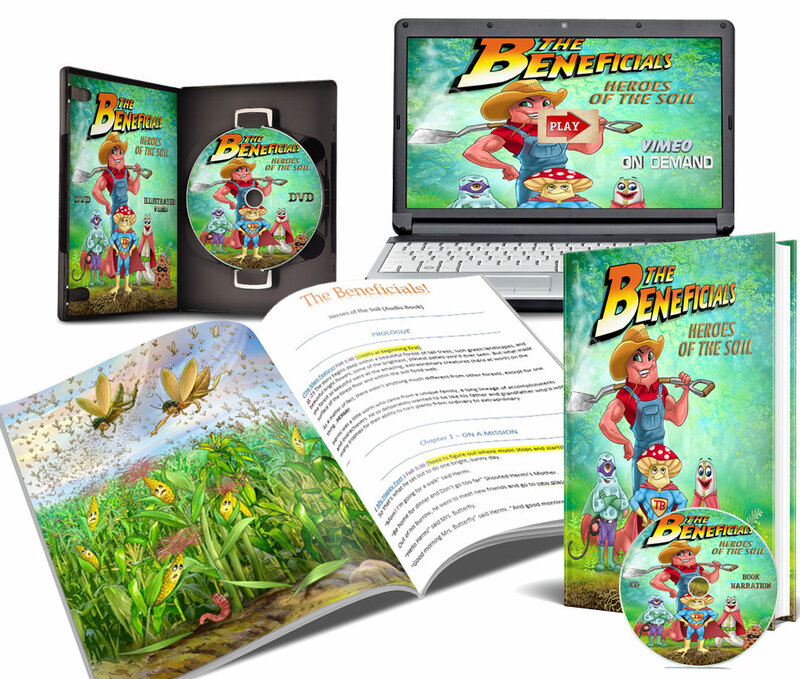 We are currently working on The Beneficials Illustrated video book and storybook. It will be entertainingly educational for kids AND adults. We ran 2 crowdfunding campaigns at Barnraiser and Kickstarter. However, they were unsuccessful. That's okay! The Beneficials will not be STOPPED as we continue to work on this project in 2019. Watch the trailer with 3 more samples to see what it will look like. The Beneficials Trailer - Barnraiser from Pauly on Vimeo. and receive the download link when project is completed, PLUS a personal thank you email from me, Pauly. 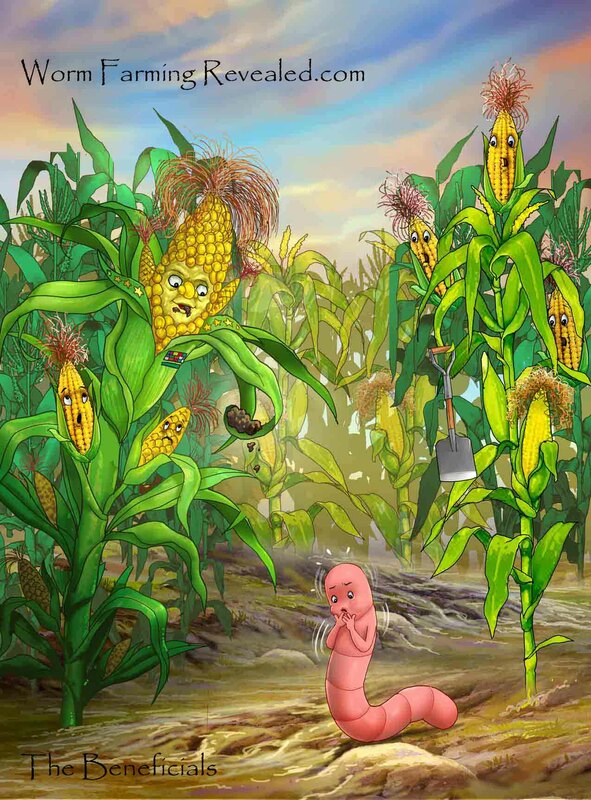 You've seen them in the Worm Farming Coloring & Activity eBook. We live in a world of processed foods. Even though we're currently experiencing a rise in natural home-grown produce, manufactured foods, which are filled with chemical fertilizers (poison), are also increasing. Many have already discovered how to create the best soil to grow food. I've written those books for adults too. However, our future lies in the next generation (Gen-Z or iGen) to carry the torch of truth. I WHOLLY believe this generation will be the generation of TRUTH seekers. This Illustrated video book will do JUST THAT! While they're watching, listening, or reading this fascinating story about how the soil works, it'll be planting seeds of truth they'll grow to appreciate, and hopefully one day, practice or be sympathetic to. Are you an organic grower, composter, food recycler, or serve organic and natural food...? Then you're a Hero! But what makes these plants make you look so awesome? 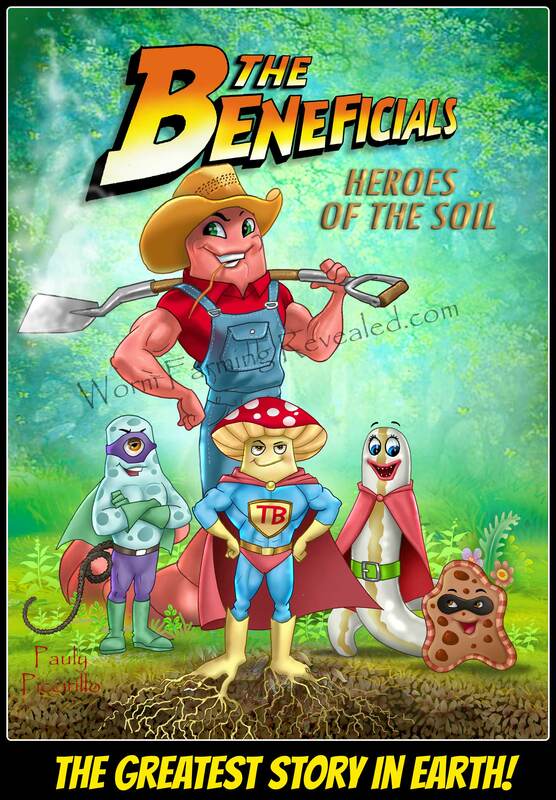 It's the soil heroes that make the plants so amazing, The Beneficials! Finally! There's a story behind what makes our gardens and food much like medicine. 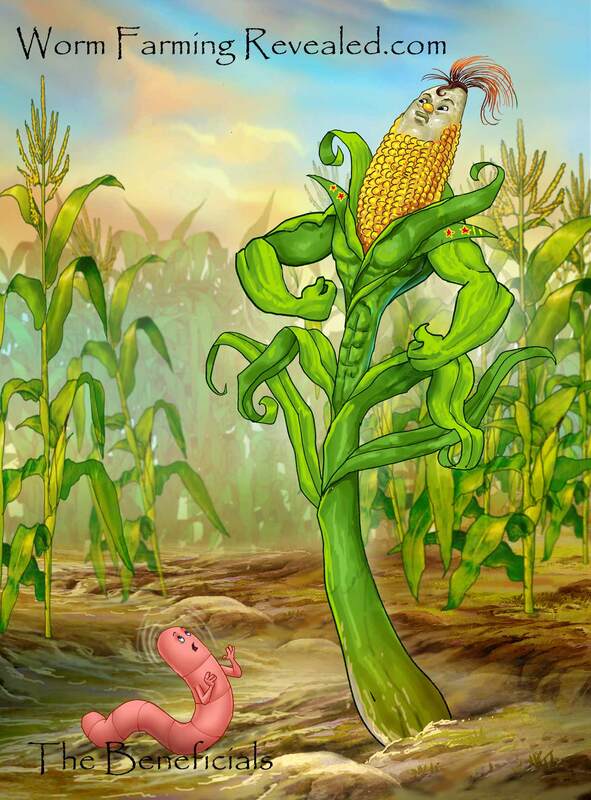 It's a story about the forgotten heroes hard at work within the soil food web. It's a story that will show people what YOU DO is for the benefit of your customers, your family, & the WORLD! The Greatest Story In Earth! IT'S TIME FOR NEW HEROES! I want to show everyone something different! I want to show people a REAL world, a world of ordinary beings with extraordinary abilities. I want to show ordinary people how plants need a hero too, and when our food becomes extraordinary, so do we. 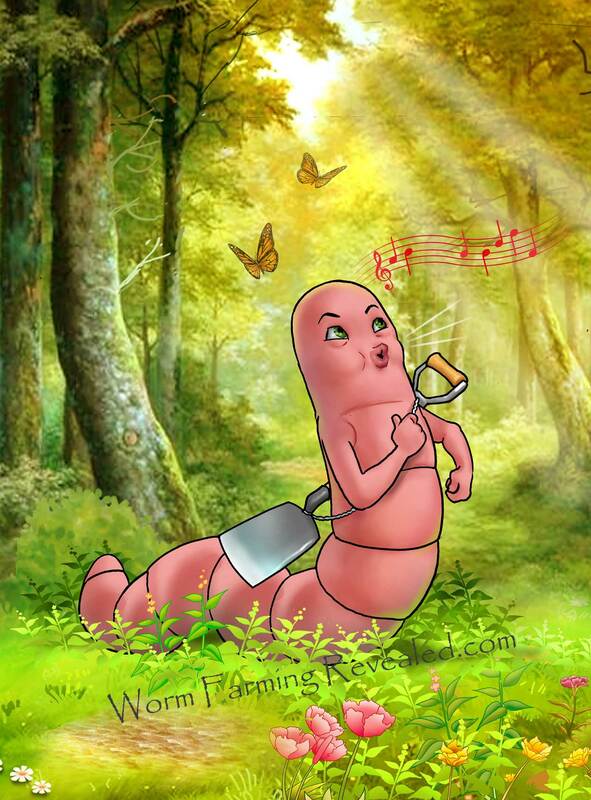 Hermi (our main character) lives in a beautiful forest. 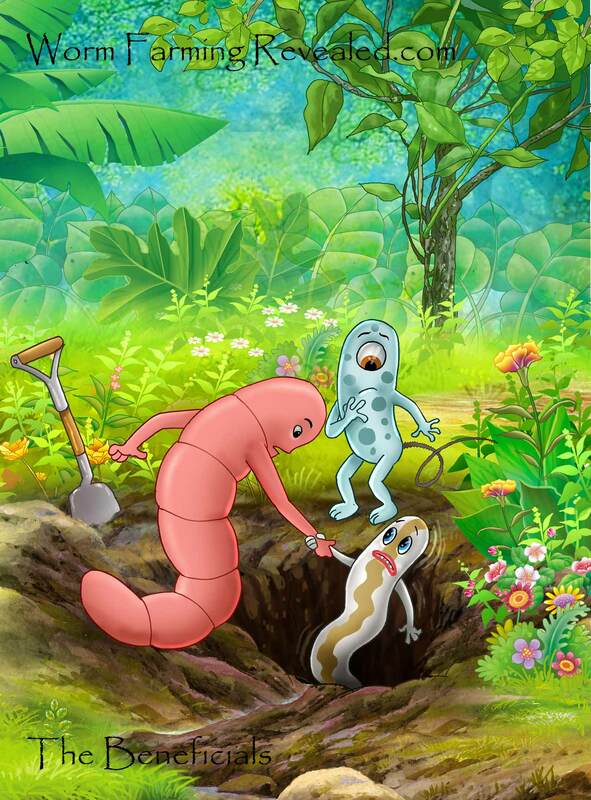 He’s just a young worm with big ambitions of being like his parents who’ve made plants extraordinary. So, he sets out one day to do just that, while befriending a few beneficial microbes along the way. 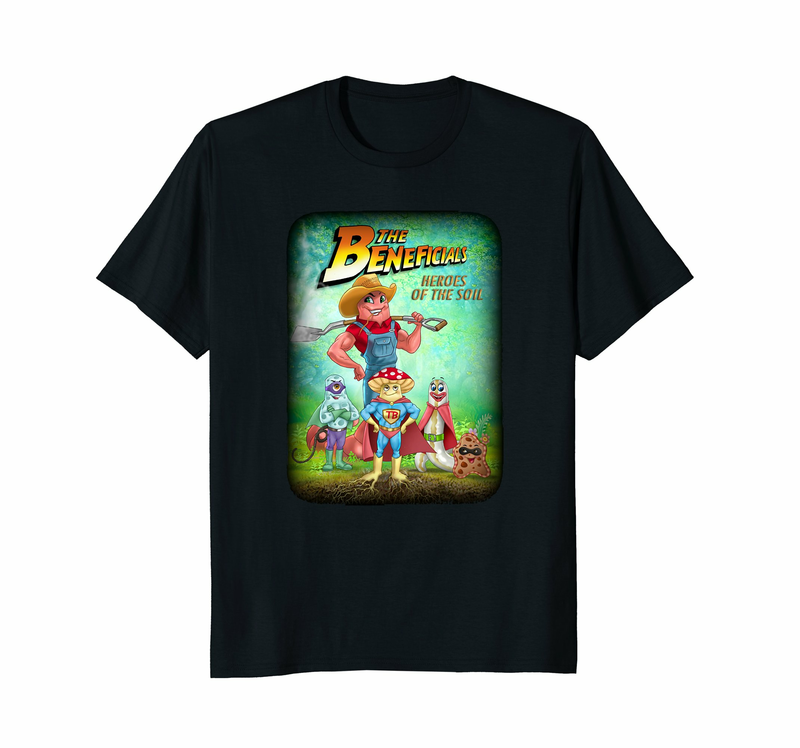 During his adventure in the forest, a HUGE storm washes him into an unfamiliar place, a place everyone warned him to stay away from, THE CORN FIELD! After the storm, he finds himself lost and in a desolate land containing almost no life within the soil. 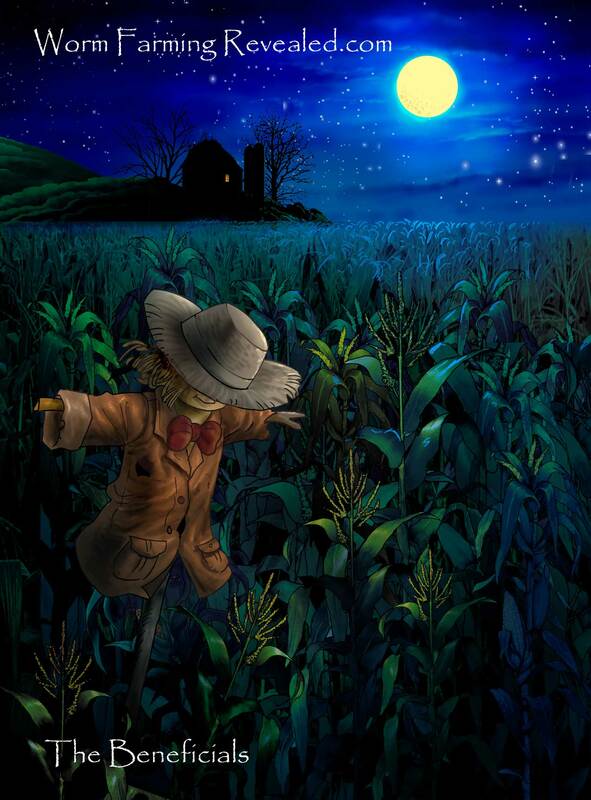 He’s accosted by HUGE scary corn stalks. 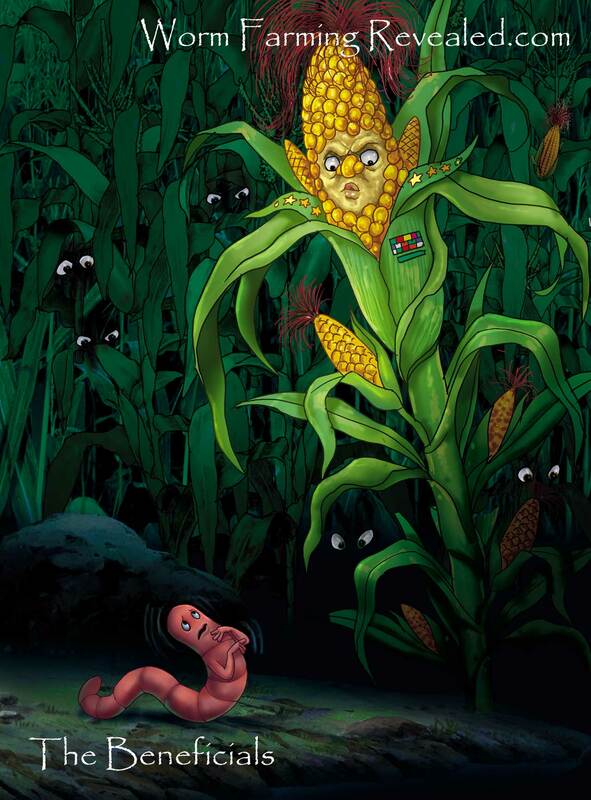 He notices something bizarre about the corn and the strange land he's in. "This isn't anything like the forest." He whispered to himself. "There's something wrong with this place." 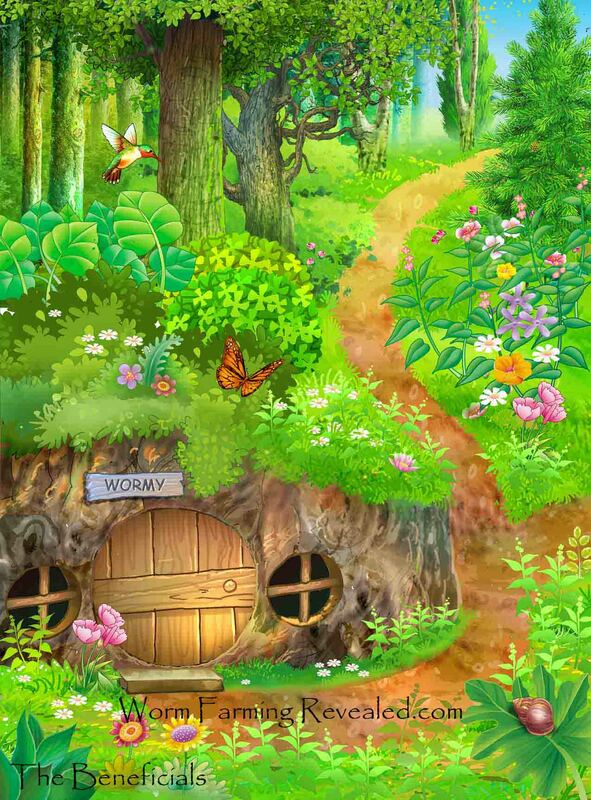 Hermi desperately needs to get back home, find his forest friends (Proto, Nema, Gus, and Bob), to help save the maze community from dangerous pests and chemicals. Say Hello to My Lil' Friends! Without them, we wouldn't be able to grow anything. in a way I've never done before. It might actually be the very first message of it's kind and you have a chance to be a part of it. 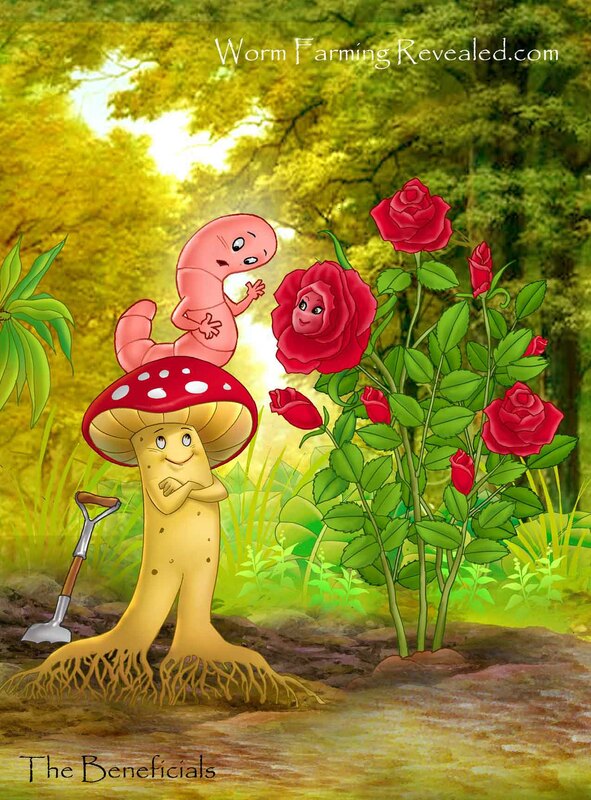 Each real-life organism has a purpose and place within the soil-food-web benefiting plants, and now, PEOPLE ARE GOING TO LEARN this without even knowing they're being educated! Kids, young adults, teachers, and those in the organics, of all walks of life, will be wildly entertained for 2 Hours in the video book and through other media methods. My name is Pauly. I've been worm farming, composting, and gardening for several years and have created several publishings (including a successful KickStarter) that educates everyone, from kids to adults. I teach them how to create the best soil amendment a plant could ever need to grow healthy, with big fruit. No need for chemical fertilizers ANYMORE! However, in order to bring this project to life, I'm going to need my own hero...YOU! A Condensed Storybook for Kids, 8x10, Full Color, Hardback book (about 50 pgs...?) with audio narration. Keeps kids reading while following along in the book. This just isn't possible at the current 10k goal. If stretch-goal is met, it will open new doors for learning about soil. 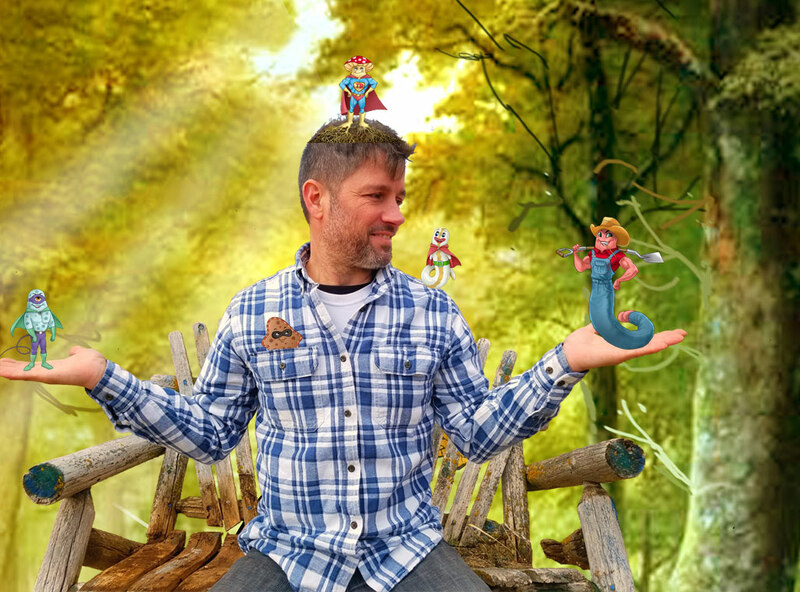 This story isn't just for gardeners or anyone wanting to learn how to create the best soil naturally, it's for ANYONE who wants to hear a wonderful story with a superhero ending. I need your help to bring many more illustrations to life. So, if you love the trailer, love the idea, and love education coupled with entertainment, then you'll ABSOLUTELY love the story. I will keep you updated as the Campaign progresses. Make sure you sign up for the newsletter to stay up-to-date. These illustrations are hand-drawn, very detailed, and time-consuming, even for just 1 drawing. The other challenge is to be able to communicate to the illustrator HOW I want them to look and feel. 2. My next greatest challenge is the narrating of each character. This involves great sound and good equipment and a lot of takes. I'm counting that my last successful Kickstarter, the Beneficials trailer, and the audio samples after the trailer, proves my ability to show you what I can do. 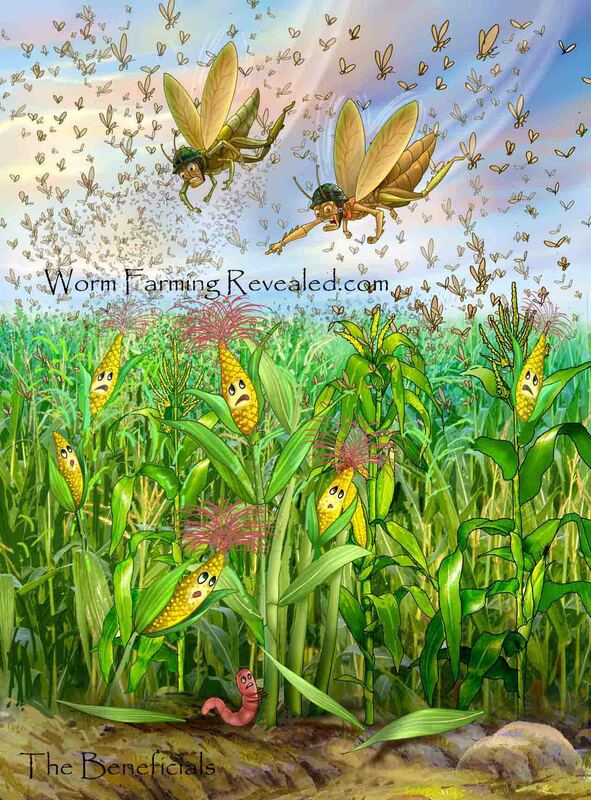 My Ultimate Goal for The Beneficials is to be animated on the BIG SCREEN. I believe, one day with the right connections and with you, it will happen. Our editor is the well-known Gene Hult. Shrek 2, Batman Begins, Spider-Man 2, The Batman, Teen Titans, Clifford, Maya and Miguel, Tonka, Duel Masters, Barbie, Krypto, G.I. Joe, Care Bears, Trollz, Rescue Heroes, Strawberry Shortcake, Dragon Ball Z, Green Lantern, plus many more. He's worked with Simon & Schuster, HarperCollins, Random House, and Scholastic. Other works involve the bestselling Kids' Book of Sudoku series and the #1 New York Times children's bestseller A Treasure's Trove: Secrets of the Alchemist Dar, as well as coloring and activity properties such as Dora the Explorer, SpongeBob SquarePants, Care Bears, Thomas and Friends, VeggieTales, and Teenage Mutant Ninja Turtles. 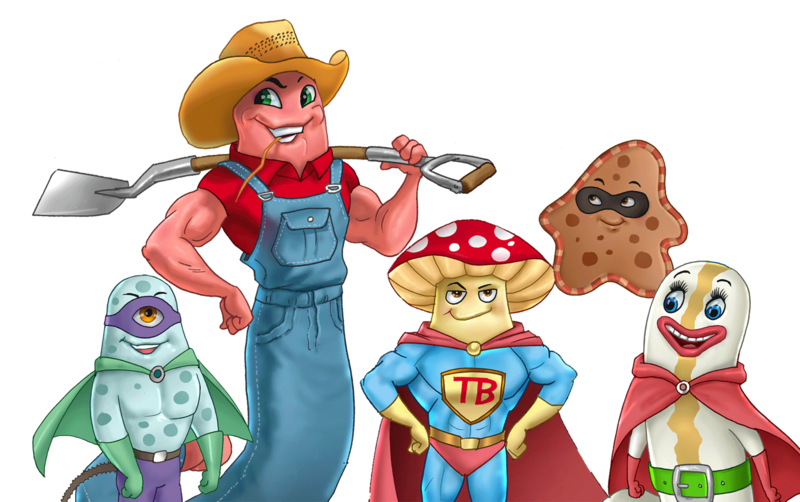 The Beneficials - Heroes of the Soil...is fun, funny, and yes, educational...I’m excited about working on The Beneficials." I'm stoked to have him on board as editor and look forward to an exciting adventure this year.